If you had experienced the "indestructible" Nokia 3310 a decade ago, you must have waited for it after a long hiatus once the news broke of its resurrection. 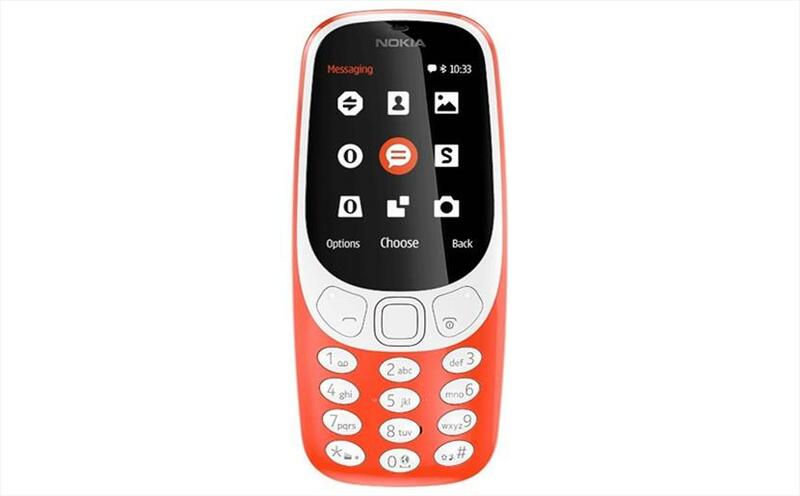 The nostalgia associated with Nokia 3310 -- born in the year 2000 with a dark blue body which saw an entire generation grew up loving the device -- is something the new Nokia seller HMD Global (that acquired the rights to use the Nokia brand for 10 years from Microsoft) sensed and has now brought it back to life. Priced at Rs 3310, the feature phone is here to compete in a completely new Indian market which is inundated with cheaper Chinese smartphones as well as several feature phones. Will the mix of nostalgia and tech help Nokia 3310 live up to expectations? The company has given the device a jazzy, modern look by symmetrically placing camera, call button and power button, thus wrapping the squarish function key. Available in four stunning colours, the plastic body device has two SIM slots and a MicroSD card slot (32GB). Lighter and slimmer than the original device, Nokia 3310 runs on "Series 30+" operating system and has a basic user interface. The phone has a curved glass casing over the 2.4-inch screen and has 2G support with no Wi-Fi connectivity. However, the Nokia Slam feature allows you to connect to other Nokia phones and Android phones. If you ask us what is the best feature, we will say battery. With 1,200mAh battery, the device offers 22 hours of talk time and has up to a month's standby time! So if your smartphone is dead and you don't have a powerbank or a charging point near you, Nokia 3310 will help you reach out to the world in case of an emergency. Unlike smartphones, a feature phone needs to be charged once every few weeks if not used and does not take much time to come back to life. For us, the battery lasted for more than two days with regular use. Another interesting feature is the "Snake" game; the snake is fatter and hungrier than it was in the earlier device. The device has the trial versions of two games -- Asphalt 6: Adrenaline and Diamond Twister -- pre-installed. Apart from that, you can use 2G internet to browse and even scroll through Facebook with the Messenger capabilities built-in. There is not much to expect from the 2MP rear camera that shoots average photos. The flash accompanying the camera works better as a torch. The low-light camera performance is better than no performance at all. The flash cannot be used when one is recording video. Conclusion: In the feature phone market, Nokia 3310 has a chance when it comes to brand recall and nostalgia. It is not a high-end device but a basic one to connect you with the world. It will not be a bad idea to make it your second phone if you don't want various digital platforms to disturb your peace and only wish to connect with near and dear ones -- with Nokia 3310 once again back in your pocket.